As an addition to our HaigaGraphy collaboration, Linds has gone ceramic on me! These individual pieces each feature a haiku from our collaboration. 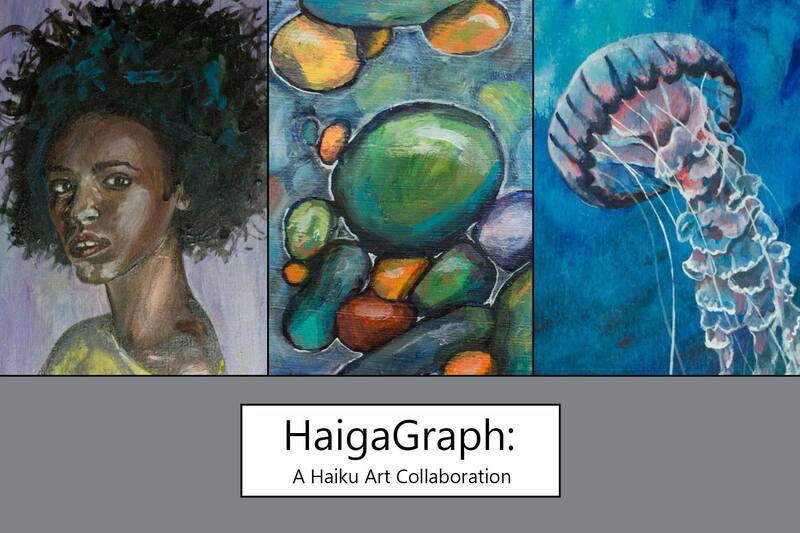 For the last few months I have been collaborating with Missoula artist Linds Sanders on HaigaGraph: A Haiku Art Collaboration. Linds has created thirty original paintings, each featuring one of my haiku written specifically for this project. The show is coming to the Bay Area and is intended to support a haiku festival being organized by none other than Amos White.